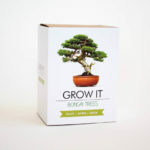 Become a calm Zen master with Grow It gift kit, containing everything you need to grow your very own bonsai trees! Grow different types of bonsai trees in your own home. Growing your bonsai trees is simple – everything you need is inside this gift box, including starter growing pots, compost discs, seeds and a booklet containing growing tips. Be a calm Zen master by growing beautiful bonsai trees at home. 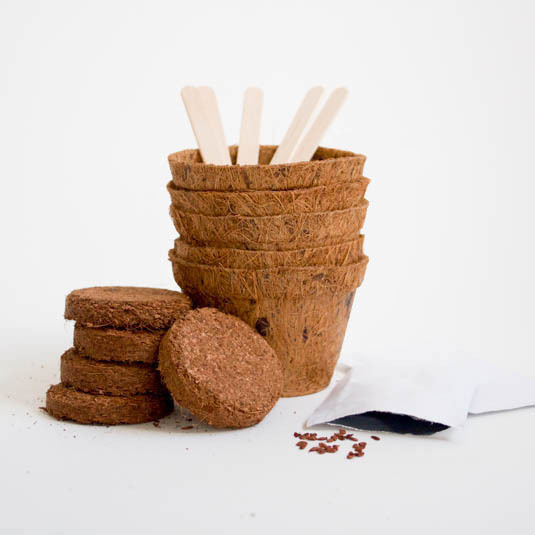 5 x natural coconut husk compost discs which expand when watered. 5 x wooden plant markers. Not suitable for children under 36 months. Choking hazard. To be used under the direct supervision of an adult. Disclaimer: This pack contains real plant seed. The seed can die before or after germination. Please plant your seed as soon as possible. Due to the varying nature of the conditions that the seed are stored and grown in, we are unable to accept any liability in relation to any non-performance of the seed or coir discs and pots. This is a novelty gift and must be regarded as such. Mensa sudoku cube, Get the numbers 1-9 on each side of the cube, the same number must not appear more than once on any one side.